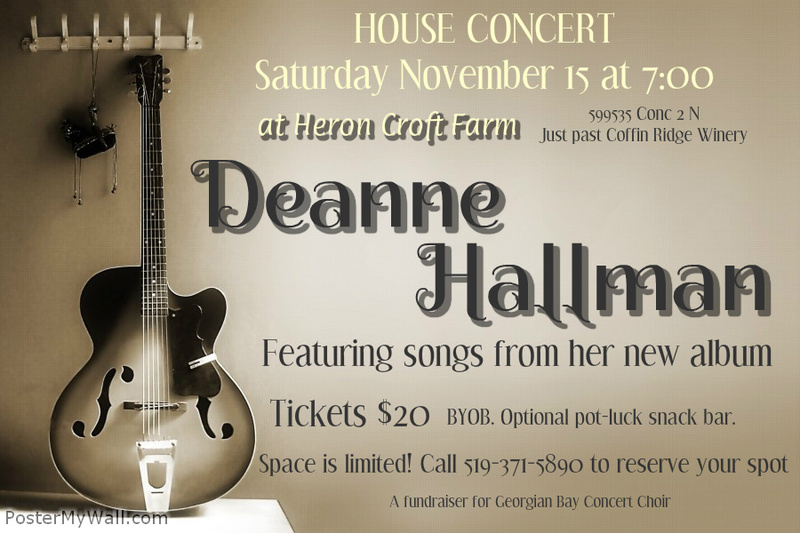 House Concert : DEANNE HALLMAN, featuring songs from her new album. Tickets $20 … BYOB. Optional pot-luck snack bar. Space is limited! 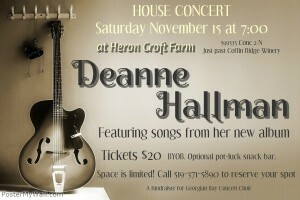 Call 519-371-5890 to reserve your spot.